How Should I Water Grass? Having the most luscious yard on your block comes down to four things: seed, sun, soil, and water. Today we’re going to take at how to water grass to make it as healthy as can be. You might find there’s more to it than you’d first assume. 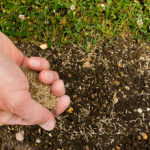 Grass needs more than just a sprinkling of water, so a quick blast of the hose or short rain showers aren’t enough to make a positive impact. In fact, the average lawn requires 1″ to 1-1/2″ worth of water a week to stay healthy. This means that watering for a longer period of time is required. Also, it’s most beneficial to water in the morning than at night. Night watering can attract pests or result in fungal or mold-related lawn diseases. 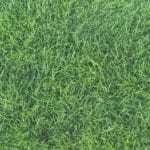 For green grass, long soakings once or twice a week is more beneficial than surface-level watering every day. 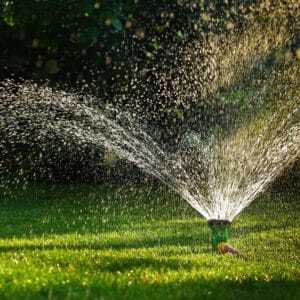 Summer heat and sunlight might make your lawn require even more water, so you might have to add in an extra day during the hottest weeks of the year. 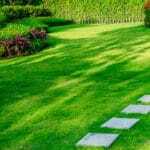 A lot goes into making your lawn as green as luscious as you’d like it to be. 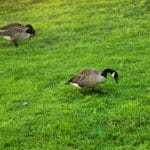 That’s why Green Lawn Fertilizing offers a Green Lawn Program that will gear up your lawn for a green season.